The Father has sent his Son as the Savior of the world. Merry Christmas! God’s love was revealed among us in this way: God sent his only Son into the world so that we might live through him. The coming of Jesus is more than a sentimental idea … it’s a revelation of divine love, and is meant to change the way we live our lives. Since God loved us so much, we also ought to love one another. Right. In this is love, not that we loved God but that he loved us and sent his Son. If we want more love in the world, we need to realize it’s found in God, not in ourselves without God. Whoever does not love does not know God, for God is love. An un-loving world is a godless world. Knowing God is the only genuine antidote for loveless living. Trying hard to be more loving, without God … well, it’s a cul-de-sac. We have known and believe the love that God has for us. This is what’s critically missing in our world. Many don’t know about what Jesus means, and many who have heard don’t believe. By this we know that we abide in him and he in us – he has given us of his Spirit … God abides in those who confess that Jesus is the Son of God, and they abide in God. God visited us in the person of Jesus that first Christmas – Emmanuel, God with us. Ever since, He has come to open hearts and minds by His Holy Spirit – the very presence of God, abiding in us. Strange that the world blames God for its lack of love. In Christ He came to show how we should live — and by our experiencing His Spirit, He empowers us to make it happen. In short – God has offered the solution to the hatred in our world. So, who’s really to blame for our lack of love? To a degree, Christians … who have defaulted in our call to share the truths of Christmas, and encourage knowledge of and belief in God. But mostly, it’s our collective penchant for godlessness, which seems to be growing more every day in the Western world. Lord, you have gifted the world with an amazing capacity to be loving and compassionate. Thank you that millions are receiving this truth around the world. I pray for our country, which seems bent on detaching from You, and trying to do our best without you. Please help your people to effectively live out Spirit-inspired love, and share the truths of Jesus boldly. Amen. I have the same urge that many have this week … I feel like I should say something – or even shout something – about the seismic cultural shifts going on in our country. My prevailing feeling is sadness. And, selfishly, loss. The fact that our country has given the collective middle-finger to God is nothing new. Biblically, it’s the norm of our fallen world, and fits snuggly into the Christian narrative. Through history, it’s happened time and time again, even in the most seemingly “godly” cultures. It should come as no surprise to anyone. It has already begun: I will increasingly be bad-mouthed and belittled by those who think more “progressively” than I. Again, this is nothing new. And it will have very little actual impact if I choose not to avail myself to the media outlets that trumpet both their derisive opinions and the counter-vitriol of two-dimensional conservatives who, frankly, don’t speak for me or anyone I know. 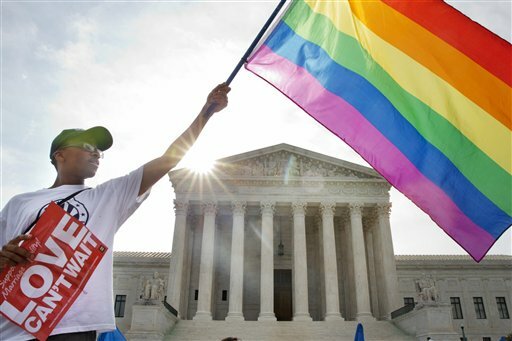 There may even be some threats to our religious liberties in the future. Could things ever be as tight in the U.S. as they are in China? As they were in Russia? As they were during the Roman Empire? God has allowed it before, and has made it known that such should be expected again, especially toward the end of times. I don’t even blame secular thinkers for coming to their conclusions. If you build your life on these assumptions … that 1) if my flesh (cf., physiology) tells me something is true, then it’s true; and that 2) I (we) should be free to make my (our) own decisions … we become like the child at the supermarket, throwing a tantrum because she wants a cookie, and no one should deny her of her choice. The parent gives in, gives the child what she thinks she wants … and the child rejoices, feeling like all is right with the world. But, in reality … she’s fatter. Her appetite is ruined for dinner. Money has been wasted. She’s becoming a brat. And tonight, when told she has to eat her vegetables before she gets her second cookie…well, good luck with that. 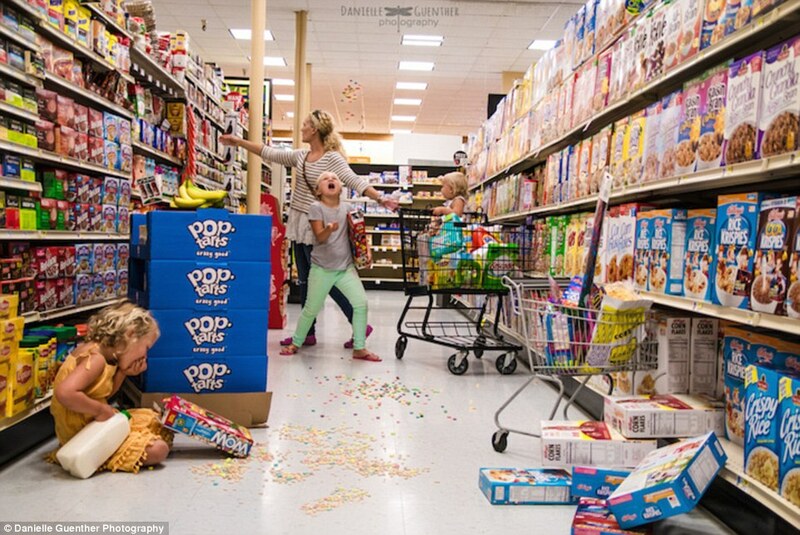 So, I look on at that child, crying in the aisle. It’s none of my business, right? No skin off my nose. I’ll likely have no interaction with this kid for the rest of my life. Should I judge? Should I care? But I’m sad. What the child doesn’t know … I guess what she can’t know … is that she truly wants her parent to say “no”. True love would call her to deny her physical impulse, and wait for a better, even the best, context to fulfill her appetite. Because living out from under effective discipline, and catering to the flesh, is not going to serve her well. So, the kid got the cookie. She’s even doing a little “I got the cookie dance”, and waving it in front of her demoralized parent. She didn’t have to wait. Next, the kid will be fighting for the right of all kids, everywhere, to shed parental disciplines and have all-you-can eat cookies. And anyone who says things should be otherwise are judgmental, haters and bigots. But we’re not. It’s not being a hater to honestly and genuinely wish for more for others than they wish for themselves. And I already miss the days when the culture at large in America felt the same way. 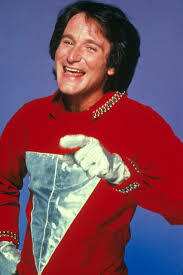 Is anyone else mad that Robin Williams was killed last week? Okay, let’s do the prerequisite clarifications: First, my appreciation. 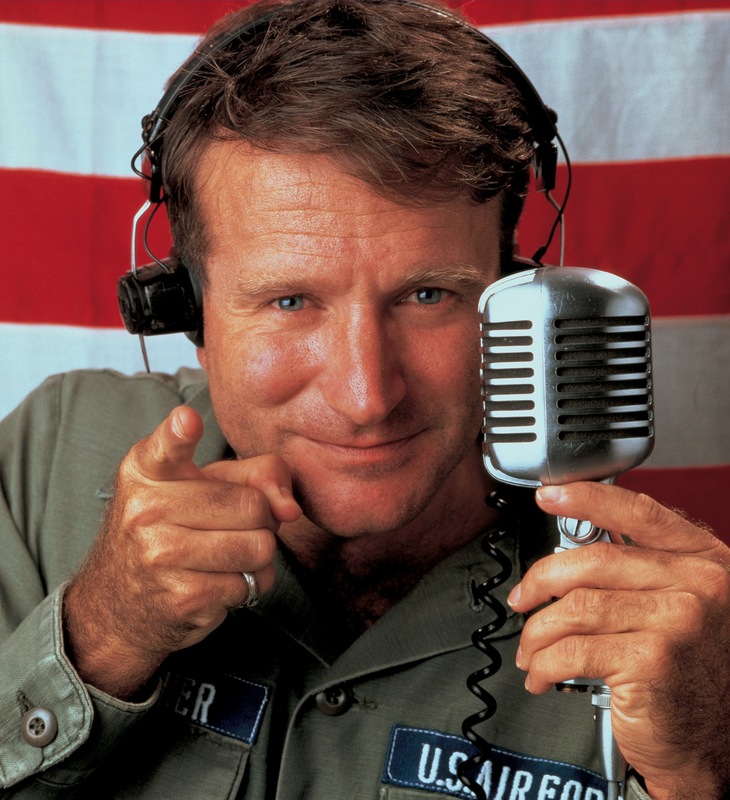 I have been laughing at Robin Williams my entire life. From Mork to Teddy Roosevelt, and every stand up routine in between (especially the improv! ), he held the position of funniest man alive, at least in my book, for four decades. Please know that I have no desire to tarnish that legacy. Second, my awareness. Yes, depression is very real. And losing loved ones is very difficult. The waters of sadness run very, very deep. As the scripture says, “Each heart knows its own bitterness, and no one else can share its joy” (Prov. 14:10). Please know that I can’t and won’t belittle the the reality of emotional pain. But something needs to be said about a few things that are oozing out of the pores of our culture in light of this story. 1. “Robin Williams is ‘free’, and in a “better place” where he is ‘no longer in pain. '” Why is it that, when they lose someone important to them, the irreligious among us suddenly start waxing spiritual? The majority of men and women from the halls of both Hollywood and academia are bold in their godlessness. We are, after all, simply amoebae-gone-wild, with no divine visits in the rear-view mirror, no “sin” in our present lives, and no reasonably understood after-life on the horizon. I guess one could say that to be nothing (a.k.a., dead) is to no longer feel pain. But free? It’s not “free” to not do, be or feel anything. A better place? 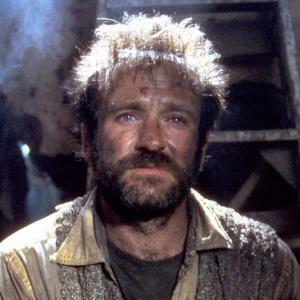 Let’s just say that, if Robin Williams’ life is a living hell (a life that 99.8% of people on earth would be thrilled to live), and that non-existence trumps his existence, then we’re all in terrible shape. 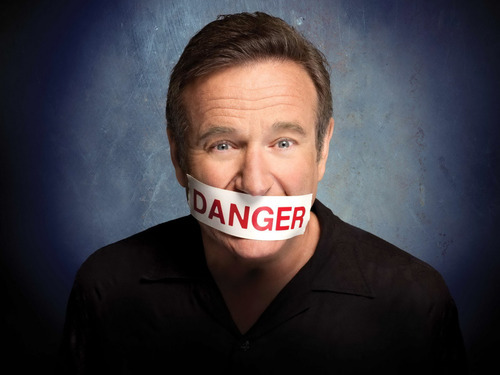 If you believe in God, and in particular the God revealed in the pages of the Bible, by the prophets and by Jesus, you can have an extremely strong assurance that Robin Williams is, and will be, eternally separated from God. “Do not be deceived: God cannot be mocked. A man reaps what he sows.Whoever sows to please their flesh, from the flesh will reap destruction; whoever sows to please the Spirit, from the Spirit will reap eternal life.” (Galatians 6:7-8). Williams made a comedic living mocking God, His people, and all things sacred. He did not embrace the truth of the Spirit, so he certainly didn’t sow to please Him. He may have been involved in charitable works, but not for the glory of the only One Who is praiseworthy. “Whoever is not with me is against me, and whoever does not gather with me scatters. And so I tell you, every kind of sin and slander can be forgiven, but blasphemy against the Spirit will not be forgiven. Anyone who speaks a word against the Son of Man will be forgiven, but anyone who speaks against the Holy Spirit will not be forgiven, ei ther in this age or in the age to come” (Matt. 12:30-32). Obviously, those who don’t believe in the truth of these Biblical words shouldn’t care what they say. All the more reason for unbelievers to avoid sympathetically reinterpreting them to fit the occasion. But, if one believes the plain words of the Bible, a man who mocks God and His revealed will and words is eternally doomed. 2. “Robin Williams’ pain justifies his suicide.” If this is true, then billions of people are justified to kill themselves. We can just hope and pray that William’s example doesn’t embolden anyone else to do what he did. Williams’ wife, Susan Scheider, is hopeful for another outcome. “It is our hope in the wake of Robin’s tragic passing, that others will find the strength to seek the care and support they need to treat whatever battles they are facing so they may feel less afraid.” That is an amazing thing to hope for. What logically will happen is those who struggle like Williams will see a man who gave up on the hope that care, support and treatment could afford, and chose to give up instead. And, to compound things, the world esteems him, makes him a hero, affirms he’s better off now … and no one says a negative word about his choice! No, if anything, choosing suicide just got a huge celebrity endorsement. 3. “Robin Williams is a good guy.” Imagine for a moment that Robin Williams was murdered by someone. How do you think the populace would feel about that person? Well, he did get murdered … by Robin Williams. Personally, I’m mad at whoever would end the life of the funniest person I’ve ever experienced. Is it wrong to be mad at Williams for killing Williams? Or, imagine if Williams was still alive – but that he had killed someone else. If we knew him to be a murderer, would we still say, “that’s okay, because he’s so funny.” Well, he did murder someone. He murdered Robin Williams. 4. “This is politically incorrect, and will make people mad. Why are you writing this?” Because, during blurry times, things need to be made clear. Those who base their lives on the truth of scripture need to speak up, lest the world think that the “theology” that is being championed in the public arena is correct. To be silent is to condone. To speak the truth is the right and loving thing to do – even if it is received as scandalous. Two, that Robin Williams would have been reconciled to God before His death. Three, that people will see that you can have it all – fame, popularity, winsomeness, riches, you name it – and it’s not enough. That they won’t give up, but that they’ll seek more. That they will find the inner strength that comes from the abiding presence of the Holy Spirit that will convince them, day in and day out, that life is worth living. So, I got an invitation to church in the mail today. That, along with logos and web site addresses, is my invitation. One thing one notices when exploring our family through history is that every generation sees the Biblical truths of Jesus morphed by the influences of the culture. In the ancient church, the theology was bloody. During the last days of the Empire, it was Imperial. The Middle Ages found us nervous and desperate. The Reformation made us bookish. The Enlightenment made us proud of our ideas. The Industrial Revolution made us machine-like. The days of the revivals have made us crowd loving emotionalists, and the post-war era urged us to be somewhat complacent. So, it only makes sense that the church of today should morph to serve these ideals. After all, I do want to win. I don’t want to be a loser. I want to be first, not last. I want servants, not to serve. I want contentment, not a cross of suffering. 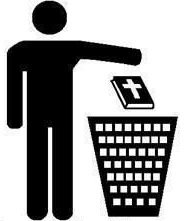 The right kind of gospel for this generation is a Jesus who died, so I won’t have to. Instead of dying to self, I get to win. I have no doubt that the new church will do very well numerically, and in terms of gathering a slough of enthusiastic customers. I wish them the best. Not success, but the best. Maybe a return to the best. Loss.